A model forest refers both to a geographic area and to an specific approach based on an social base made of different associations for forest sustainable management. From the geographical point of view, the model forest must cover an earth surface that has to be big enough, so that it represents all uses and principles of the forest. The philosophy of a model forest highlights the fact that it’s impossible to conceive a forest without people, because human beings conform the central part of a model forest. They are the key factors in the search for real sustainable development within the area where they live and where model forests grow. In this sense, a model forest is an association made up of volunteers, who represent all the environmental, social and economic forces of the region. • A landscape: a wide geographic area that represents the complete range of environmental, social and economic principles of the forest. • On its basis are different associations of people that have an interest in the natural resources of their region, choose the process to determine priorities and sustainable local aims as well as jointly working ways by general consent and in a transparent way. • It focuses on sustainable development: its aim consists in reaching sustainable forest management (SFM) in a tangible way, going from the land level to the level of policies with the constant collaboration of the parts interested in the development and innovative approach to SFM testing and sharing the results between them. A dinamic and integrated association in wich the parts interested in the regional natural resources carry, by general consent, the process to define SFM in important local terms and work together to reach it. 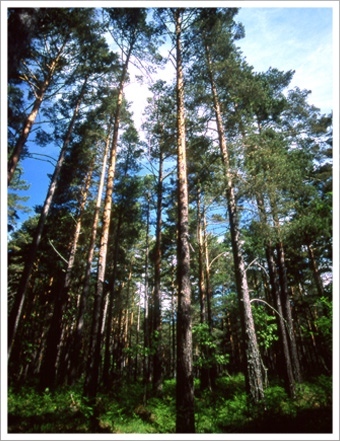 A commitment with sustainable forest management. A landscape big enough, so that it can be a representative model of the different uses and principles of the forest of an specific area. A representative, participatory, clear and responsible governmental structure. A programme of activities that shows the necessities and principles of its members. A commitment with knowledge exchange, working in a network at all levels going from the nacional level to the international level. Not all model forest are the same. Some of them are located in sparsely populated areas, where rural poverty and access to resources are matters of utmost importance. Others, perhaps, are located in densely populated areas where the urban-rural matters such as the water quality, recreation areas and biodiversity have a prominent function in the formula of sustainable forest management.